Grant Thornton’s Capital Markets Group has released a new report titled “Market Structure is Causing the IPO Crisis”, which examines the demise of initial public offerings in the United States and offers remedies to resurrect the IPO market. The paper is a follow up to Grant Thornton’s original study, “Why are IPOs in the ICU?” which was published in November 2008. A link to a free copy of the new white paper is available at the end of this article. The updated study continues to focus on how technological, regulatory and legislative changes have combined to chisel away at the U.S. IPO market. Although conventional wisdom holds that the U.S. IPO market has been going through a cyclical downturn exacerbated by the recent credit crisis, the paper points out that in reality, the market for underwritten IPOs, given its current structure, is closed to 80% of the companies that need it. New businesses, not small businesses, have been responsible for all job growth since 1980. The more precise factor is not the size of businesses, but rather their age. According to the Census Bureau, nearly all net job creation in the U.S. since 1980 occurred in firms less than five years old. A Kauffman Foundation report released yesterday shows that as recently as 2007, two-thirds of the jobs created were in such firms. Put more starkly, without new businesses, job creation in the American economy would have been negative for many years. The authors (all from the Kauffman Foundation) make a handful of recommendations, including: reforming IP spinoffs from universities, making it easier to access capital, and fixing the IPO Market (by allowing shareholders to opt-out of Sarbox). Here’s a recommendation the Kauffman Foundation didn’t mention: don’t change the fundamental economics of the venture capital business by changing the taxation of carried interest (see our post entitled “Job Growth and the Carried Interest” for more on this). Small venture capital firms lead the charge in investing in the new firms that create high quality jobs, and Congress would be wise to remember that when considering legislation that makes it more difficult for venture firms to succeed. Net migration, both before and after the Great Recession, according to analysis by the Praxis Strategy Group, has continued to be strongest to the predominately red states of the South and Intermountain West. This seems true even for those seeking high-end jobs. Between 2006 and 2008, the metropolitan areas that enjoyed the fastest percentage shift toward educated and professional workers and industries included nominally “unhip” places like Indianapolis, Charlotte, N.C., Memphis, Tenn., Salt Lake City, Jacksonville, Fla., Tampa, Fla., and Kansas City, Mo. The venture capital industry started in the Northeast and is still largely based there and on the West Coast. But given the relative attractiveness of the Southeastern and Texan economies for entrepreneurs, the future of the venture industry may be right here. So what gives? Why did all that wealth have to get destroyed in such spectacular fashion? It’s conceivable that a board member here or there could be corrupt or asleep – but entire boards? Across multiple companies and regulatory agencies? Unlikely. It’s more likely that they were following the current and best practices for strong and effective board oversight. So, if *all* boards have similar formal systems in place, something else must be at work. 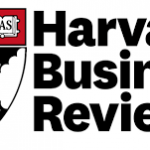 Jeffrey Sonnenfeld explains in “What Makes Great Boards Great” in t he Harvard Business Review that great boards are ‘robust social systems’ in which the members’ informal modus operandi ensure that all those well-designed systems function properly. Create a climate of trust and candor. If you’re CEO, share important and difficult information with directors in time for them to digest it—not the night before a meeting. If you’re a member, insist on receiving adequate information. To discourage members from creating back channels to line managers in pursuit of political agendas, give them access to company personnel and sites—then trust them not to meddle in day-to-day operations. Evaluate board performance. No group’s performance is assessed less rigorously than boards—yet no group learns without feedback. To conduct a full board review, a governance committee can evaluate the board’s understanding and development of strategy, the quality of board meeting discussions, the level of candor and use of conflict, and the credibility of reports. It can evaluate individuals by examining initiative, preparation for and participation in discussions, and energy levels. Foster open dissent. The willingness to challenge one another’s assumptions and beliefs may be the most important characteristic of great boards—indicating bonds strong enough to withstand clashing viewpoints. Don’t punish dissenters or forbid discussion of any subject. Probe silent board members for their opinions and the thinking behind their positions. Use a fluid portfolio of roles. Don’t let directors get trapped in typecast positions—the peacemaker, the damn-the-details big-picture person, the ruthless cost-cutter. Push everyone—including the CEO—to challenge his or her roles and assumptions. Require a big-picture person to dig deeply into the details of a particular business, or a peacemaker to play devil’s advocate. Results? Wider views of the business and its available alternatives. Ensure individual accountability. The most effective enforcement mechanism is peer pressure. Give directors tasks—for example, meeting with customers, suppliers, and distributors, or visiting plants or stores in the field—and require them to inform the rest of the board about the company’s strategic and operational issues. James Dyson, British Inventor, on how innovation often grows in unexpected directions when we experience failure. TTDC awards $500K to six teams. The six grant-winning teams are linked to the University of Tennessee, the UT Health Sciences Center, Tennessee Tech, the University of Memphis, St. Jude’s Children’s Research Hospital, Middle Tennessee State University and the Y12 Security Complex at Oak Ridge National Laboratory. The private equity market is cyclical, and our strategy does not rely on short-term time horizons. Having just closed BPV II, we consider this report as two votes of confidence: (1) a VOC from our LPs who helped us exceed our fund target in a difficult environment, and (2) a VOC in our approach – including disciplined valuations and minority investments. As for fundraising, the precipitous decline in investments returns, coupled with the troubled economy and liquidity issues, left limited partners anxious about investing in private equity funds. Despite this skittishness, investments made in the next few years will likely generate significant returns. Limited partners with capital to invest will reap the benefits of being involved in deals that happen during this period. One strategy gaining in popularity is to buy minority stakes in businesses because buyers don’t need a lender to finance the transaction. It looks like investments in young companies are beginning to flow again, but venture capitalists remain cautious. Investments in early stage companies in Dallas, the state and the nation rose in the third quarter from the previous quarter but still were down from a year ago, according to a MoneyTree report released Monday by PricewaterhouseCoopers, the National Venture Capital Association and Thomson Reuters. Texas stood out in the quarter. With $197.9 million invested in 23 deals from July through September, the state trailed only California and Massachusetts in attracting venture capital. Those investments were up from the second quarter, but down from a year earlier. DURHAM, NC – KBI Biopharma, a biopharmaceutical contract services company, has raised $9.6 million of a targeted $10 million in new funding, according to a regulatory filing. The company revealed the funding in a filing with the U.S. Securities and Exchange Commission. Ballast Point Ventures invested $7.4 million in the company in February. Ballast Point Venture Partners, a venture capital firm that provides growth equity capital to rapidly growing private companies in the Southeast and Texas, today announced the final closing of Ballast Point Ventures II, L.P. BPV II closed with commitments of $140 million, exceeding its original target of $125 million.